Alex & I had our dinner much early that day. By 9pm, we started to feel a lil hungry. “Little” ya…. hahaha.. After visiting Puchong Avenue, Alex decided to go rounding at Bandar Puteri Puchong and he asked me to choose a makan place. Hmm…shabu shabu? NO..thats too heavy! Crabs le? There got cheap cheap crab le… NO Crabs at this hour la…. Taiwan food le? Received only echo…. means not an option lo… you decide la…. 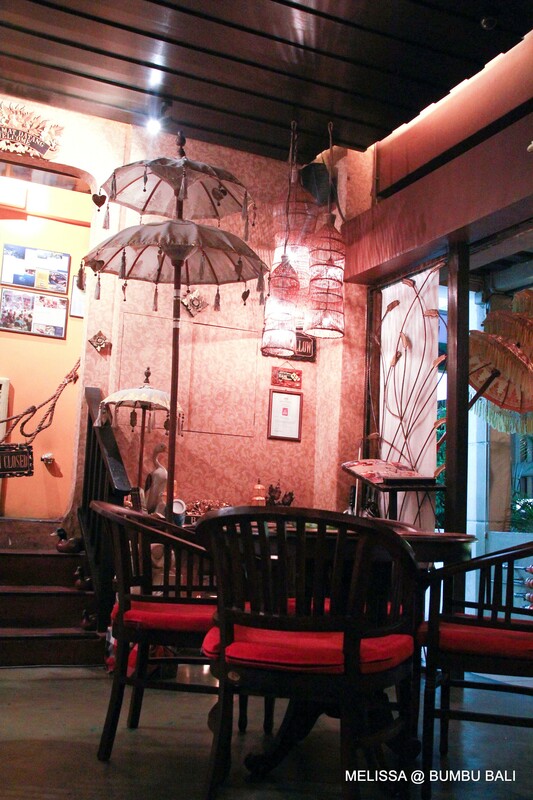 Bumbu Bali is the corner lot of a multiple story building, successfully attracts our attention. 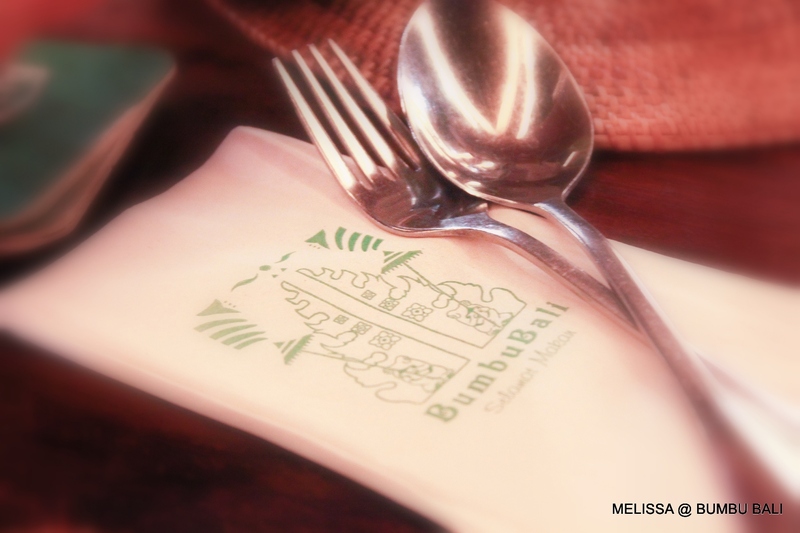 We’ve not been to Bali, but dining in a Bali theme restaurant sounds good to me – pun jadi jugak la… I’ve watched Bali food from TV. Somehow this was the first time of me experiencing the real food. Looking at the food prices stated on the menu may be abit pricey. But a satisfaction from the after meal, hmm…consider worth! hmm…this place do attracts quite a number of crowd too. Stairway to first floor. 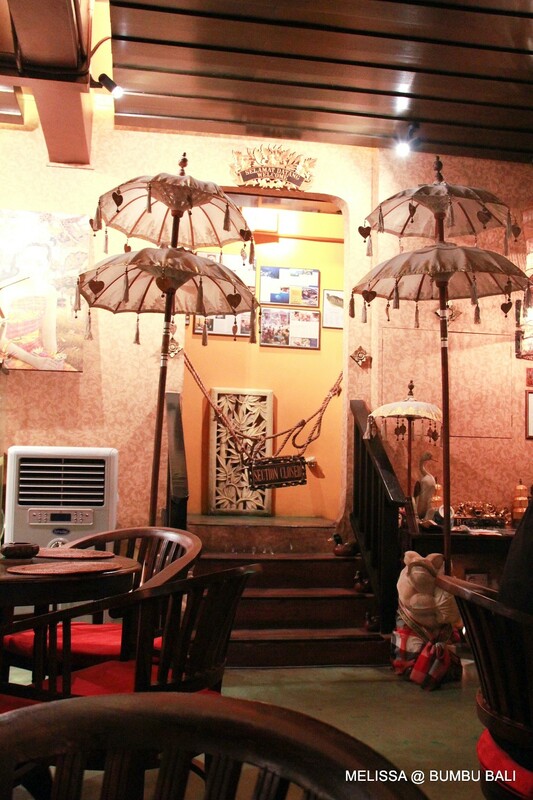 Using Balinese umbrella is quite creative! 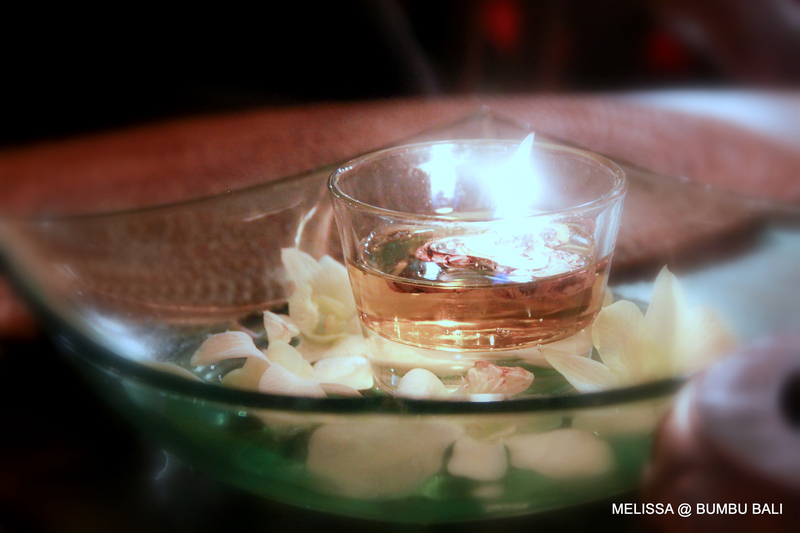 oil-lamp in a bowl of water with some flower petals, looked romantic huh.. Looking through the extensive menu from assorted drinks and food, everything seems to look delicious. Made me had some hard time to make a choice. 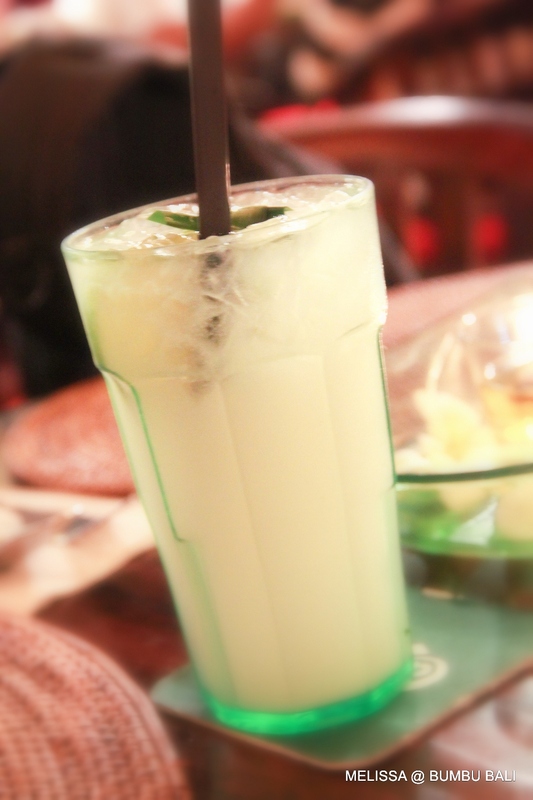 Alex ordered Barley Lime – RM5. A refreshing drink which has a good taste of barley and lime. Unlike some places serving dilute barley. Then, I chose something interesting. Cucumber & Passion Mojito – RM13. It was a superb drink. I personally likes it very much. I like the crunchiness that I’m getting from the cucumber on every sip of drink. Ya..of course its refreshing too. 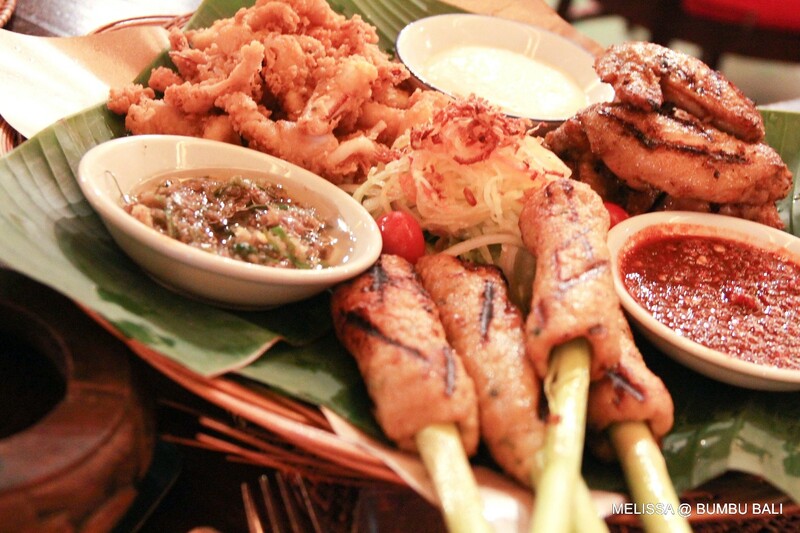 We chose something light, Bali Trio – RM42. 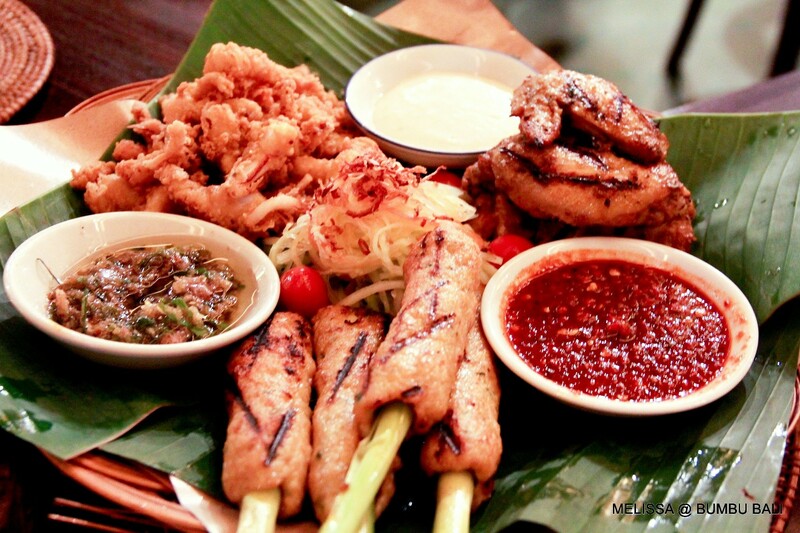 A big appetizing platter combo filled with deep fried calamari, chicken wings and sate lilit. Served with 3 different types of sauce: tartar, chili+lemon grass+spring onions+oil, spicy sambal. — a perfect order! Sate Lilit is commonly known as minced seafood satay wrapped around a cleaned lemon grass (serai). The grilled chicken wings were so good which left me without any complains. Chicken wings were well marinated with rich spices, a lil char skin with juicy tender meat. While for the fried calamari, the batter is so crispy and not really oily though. Both sate lilit and grilled chicken wings having rich flavors and spices which you may ignore dipping any sauce. 🙂 nice food, but how about the price? feel like going there for a try! 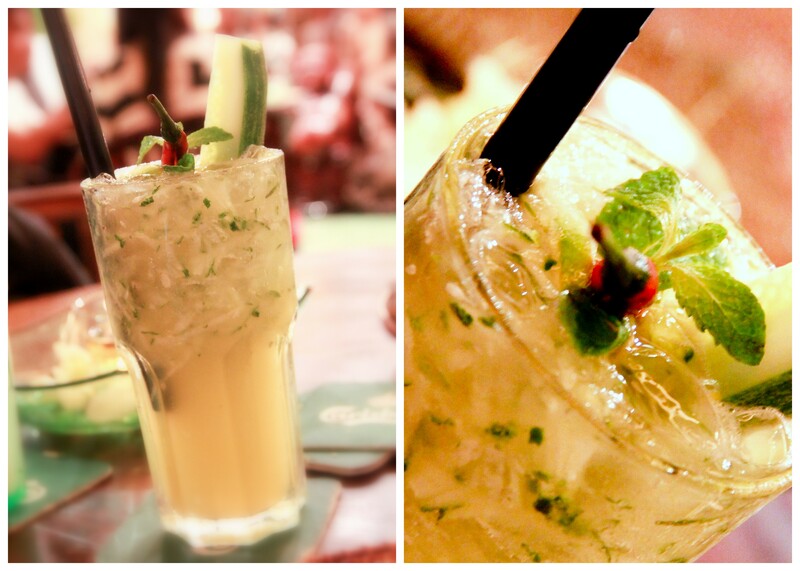 Baby Summo – Yeah yeah….is the lemon grass mojito nice?? –what a great place for a date 🙂 Lovely. Choi Yen – hehehe….. *blush* luckily shared with hb…. Is like a super Indonesia cuisine. I saw something like ‘satay’ stuff, isnt Otak-otak? 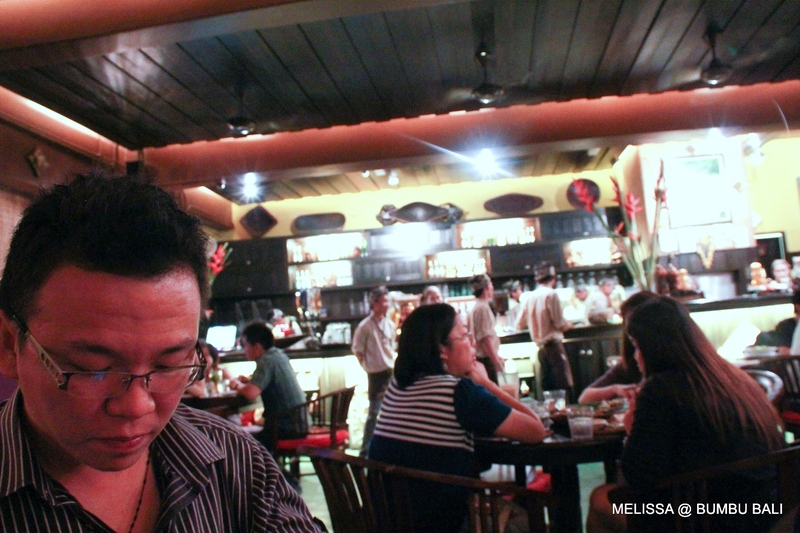 Nikel – the sate lilit doesn’t taste the same as otak-otak wor…. ← Hello Kitty was in Town — We went crazy…..